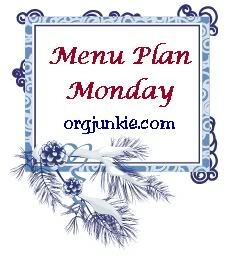 It's that time again, time for a new menu plan! One of the things that I need to work on is more of a variety when it comes to lunches. Soups and sandwiches or leftovers from the night before are our go to but I want to make an effort to make something a little different for lunches. However, this may not be the week to do it because we are back to school this week after a looong break. 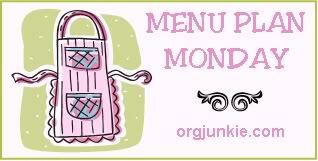 Shopping and church eating out.